A collection of fire door seals, grilles, pipes, ducting, mastics and foams designed to insulate buildings and block fires. 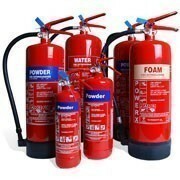 From CO2, to water, powder or foam fire extinguishers, each type and size has a place, depending on the nature of the fire. 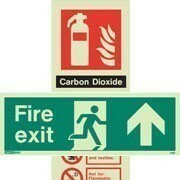 A collection of safety signs including fire exit signs, extinguisher ID signs, fire door signs, disability signs and more. 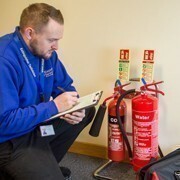 Nationwide fire extinguisher servicing, installation, safety surveys, certified extinguisher disposal and more at an uncompromised standard. Hard hats, hi-vis jackets, boots, ear defenders, goggles, respirators and masks ensure the safety of those that find themselves within close proximity of fires. 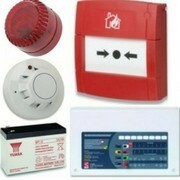 Ensure your fire alarm system is complete with these detectors, call points, bells, alarm panels and more. 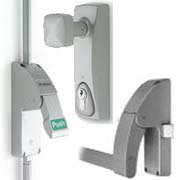 Ensure your fire exit is secure and accessible with life hammers, break glass key boxes, door closers and push bars and bolts. Equipment for the fire brigade ensures they can carry out their jobs with ease and safety. When tackling a small fire, fire blankets are a quick, easy and effective way of ensuring fires kept under control. 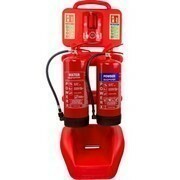 Store your fire extinguishers safely and securely with the collection of stands, available in a broad range of styles and colours. Ensuring the safety of your home or workplace is alerted immediately, smoke alarms and carbon monoxide alarms are a necessity. Keep your safety and the safety of your staff at the forefront with this range of first aid kits, providing you with both low to high end examples. Dry risers provide the fire brigade with an ongoing source of water. 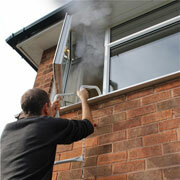 They also ensure water can rapidly reach other areas of a building. Once you’ve invested time in money on finding the right fire safety solutions for your business, don’t fall behind with the final fire accessories for additional safety. 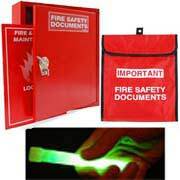 With 12-hour safety light sticks, fire log books, fire document cabinets and more, ensure you’re prepared for every eventuality. If you don’t have the budget for multiple fire alarms or you don’t need it due to the size of your premises, there are some standalone fire alarms for you. Designed to aid people when exiting a building during a fire, push bars and panic bolts are the ideal safety solution. 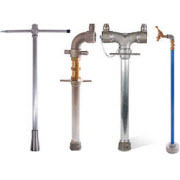 From plug and chains to rubber washers to hydrant key and bars, our standpipe collections ensure fire fighters can attach their hoses with ease and speed when fires arise. The simplest of the fire protection equipment but sometimes all you’ll need. Choose from the portable fire escape ladders, harnesses and ladder accessories, available in a variety of lengths. Equip your fire wardens with the appropriate safety gear to carry out their job safely, with log books, hi-vis jackets, head-torches, emergency whistles and more. Ensure important documents remain unscathed from fire damage with fire safe envelopes, fire proof chests and more. No fire extinguisher can hang on the wall on it’s own. 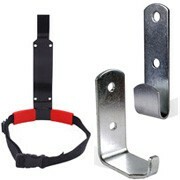 Keep it stable and secure with wall fixing brackets. 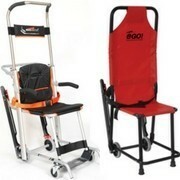 Move your fire extinguishers with ease with these fire extinguisher trolleys. 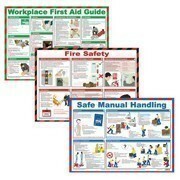 Displaying Health & Safety posters within your workplace ensure you’re compliant with regulations, providing clear guidance and helping to prevent accidents and injuries. 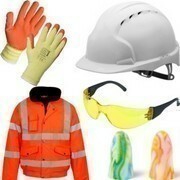 Keep your construction sites safety at the core with headtorches, emergency whistles and reusable masks and more. Safely store your fire extinguisher within these boxes. Ranging from wall mounted single cabinets to fire hose cabinets, ensure your equipment is stored safely. 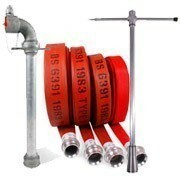 Ensure a steady flow of water when combating a fire with the fire hose reels, cabinets, hose guides, tubing and more. 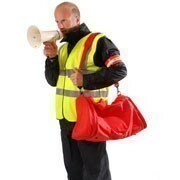 Ensure you can gather all member of your company from far and wide with our range of megaphones. 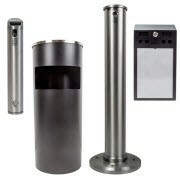 Keep fire extinguisher and fire alarm vandalism and theft at bay with the range of STI protectors. 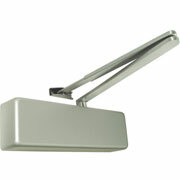 Designed to close fire doors once they are opened, door closers help limit fires from spreading throughout a building. Keep litter in its rightful place and ensure fires don’t start from rubbish that hasn’t been safely disposed of by using cigarette bins. 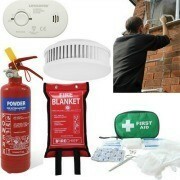 For quick and easy choices for your fire safety needs, our safety bundle deals allow you to purchase the bestsellers in one go. 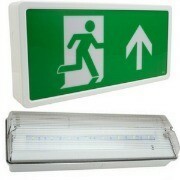 Ensure your emergency lighting is up to scratch with our exit signs, hanging exit lights and LED strip lights. From traffic cones, to flash hazard cone lamps to temporary barriers, this heavy-duty equipment will enable you to control traffic in the case of an emergency. Whether it’s to protect your building or vehicles, safeguard the space with colourful corner guards to reduce the risk of accidents. 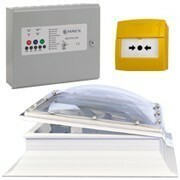 Emergency light servicing and fire alarm servicing are essential in keeping safety essentials up to date. 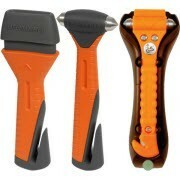 Get your lifehammers at the ready when an emergency occurs. Escape from busses, cars and trucks with this range. 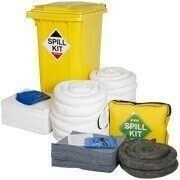 Where spills and leaks are possible, equip your workplace with a spill kit for a quick and effective clean-up which protects the environment. 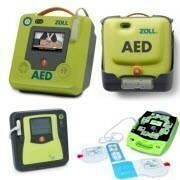 Be prepared for when cardiac arrest strikes and equip your building with defibrillators to ensure the safety of those around you. Evacuation chairs allow those with mobility issues, disabilities, the injured or the elderly to be evacuated safely and with ease. 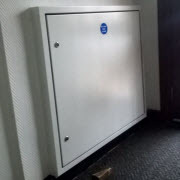 Automatic Opening Vent (AOV) systems are used for smoke ventilation to ensure emergency exit routes are clear for those trying to escape from a fire. Placing traffic mirrors in prime positions allow you to see what’s going on without needing to monitor or move surveillance cameras. Ensure your staff are fire trained and fire marshals can carry out risk assessments to protect your employees. Flammable liquid cabinets and dips tanks allow for hazardous materials to be stored safely without the risk of causing a fire. Avoid wedging doors open with fire door holders, also ensuring the door is kept open for easy access and ventilation. Similarly, it can also remain shut in the event of a fire. 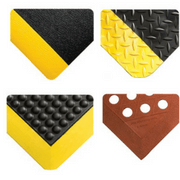 Prevent accidents from occurring and help aches and pains in the workplace with our range of specialist mats. Ensure your workplace is fully compliant with health and safety legislation, with these essentials to prevent accidents and injuries. Equip your home with home safety solutions, from kitchen fire blankets, to smoke alarms, to fire extinguisher spray to protect your family when a fire strikes. When our packaging is damaged, we’re able to offer discounts on our stock. Why not get some of our bestsellers at discounted prices? "If you want the highest quality fire extinguishers, make sure they have BAFE, BSi and CE approvals"
"Your business must conduct a fire risk assessment and fit high quality fire safety equipment"
"Fire protection is not just for work, do not forget your smoke detectors and fire blanket"
Yes, it is true. Our fire fighting equipment is all manufactured by established, fire industry names. 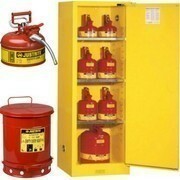 Whether it be a powder extinguisher, a CO2 fire extinguisher, or a first aid kit for new premises. And, it is all in stock for next day delivery. When it comes to the safety for you, your family and your staff, quality is uppermost. 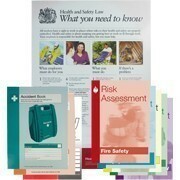 BAFE approved products are essential but so is the manufacturer. You need to think carefully before you buy fire safety equipment online. Ask cheap suppliers if their products are made in the Middle East or in China (if they will tell the truth! ), then think how long it is likely to last before your extinguisher maintenance engineer says it needs replacing. Then ask the same fire extinguisher suppliers if they are related to a maintenance company and ask how much their other company sells the same equipment for (you may get a shock!). Next, ask why they do not offer the online prices to all their customers. Then ask where their written details are for delivery costs and time, low price guarantee or for a satisfaction guarantee or return instructions. Why choose Fire Protection Online? That's the difference. 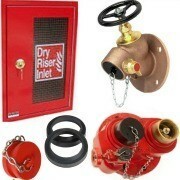 Fire Protection Online is the one and only specialist online supplier. You will find only one single price that is the same for everyone be you a government department, blue-chip company or home owner. You will see full written details of delivery details plus low price and satisfaction guarantees on every page of the web site. Our suppliers include Thomas Glover & Company (Chubb Fire's sister company), Kidde smoke alarms, Jalite signs, Jonesco cabinets and Steroplast first aid. And, finally, the freephone 0800 321 3145 number is answered quickly 7 days a week, and you will get expert advice when you need it. Come and shop with us today. What is a class A fire? Class A fires covers most combustible solid materials such as wood, paper, cloth, rubber, and many plastics. Waste paper baskets, cardboard boxes, wood and coal are all Class A. The most effective extinguishants are water-based such as water or foam. What is a Class B fire? In the UK, class B fire involve flammable liquids such as petrol, diesel, grease, tar, oils (not cooking oil - see class F), oil-based paints, solvents, alcohols. The most effective extinguishers are foam and powder. Class C fires in the UK are flammable gas fires, of any type of gas. The most effective extinguisher is powder but do not extinguish if the gas cannot be turned off as that leaves a gas explosion risk. Class D fires are fires involving combustible metals such as magnesium, titanium, sodium, lithium, potassium, and aluminium swarf. Some cannot be extinguished but merely controlled to stop spreading. Only special Class D powders such as L2, M28 and Purple K should be used and mostly with a special extended lance to gently drop the powder over the material. Fires involving live electrical equipment include computers, servers, hairdryers, washing machines, fridges, transformers, and appliances. If the power can be turned off, the fire becomes one of the other classes of fire. On live electrical equipment, only use non-conductive extinguishants such as CO2 (carbon dioxide) or powder. Do not use water-based products. Class F fires are generally found in kitchens and involve cooking oils and greases such as animal and vegetable fats. 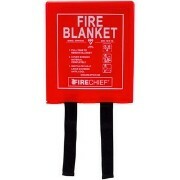 To extinguish, a fire blanket is effective if used correctly. Do not remove the blanket until the fat has cooled. Other than a fire blanket, only use special extinguishers containing wet chemical. What fire extinguisher to use? 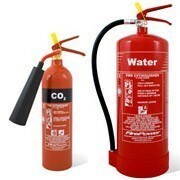 The best fire extinguisher for putting out electrical fires is CO2 (carbon dioxide). For flammable gas fire, only use powder. Flammable liquid fires can be extinguished with foam or powder. Deep fat fires in kitchens should use a wet chemical extinguisher. For metals such as magnesium, use special L2 or M28 powder. 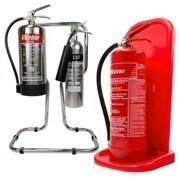 For common materials such as wood, paper and cloth, nothing beats water fire extinguishers due to the damping down.